Snuck between two lively and large neighbors – Brazil and Argentina – Uruguay previously has been a relatively small and unnoticed little nation in South America. World class beaches, great steaks, and a recent affordability is turning Uruguay into a travel gem being noticed and visited by more and more people each year. Naturally this begs to the question why now? What is it about Uruguay that is bringing people to the bounty of her cultural and natural allures? Everyone loves a fantastic beach. The kind of beaches that have wonderful vista views of the ocean, beautiful soft sand and warm magenta blue waters. Uruguay at the southern tip of South America has all of these attributes in its beaches. 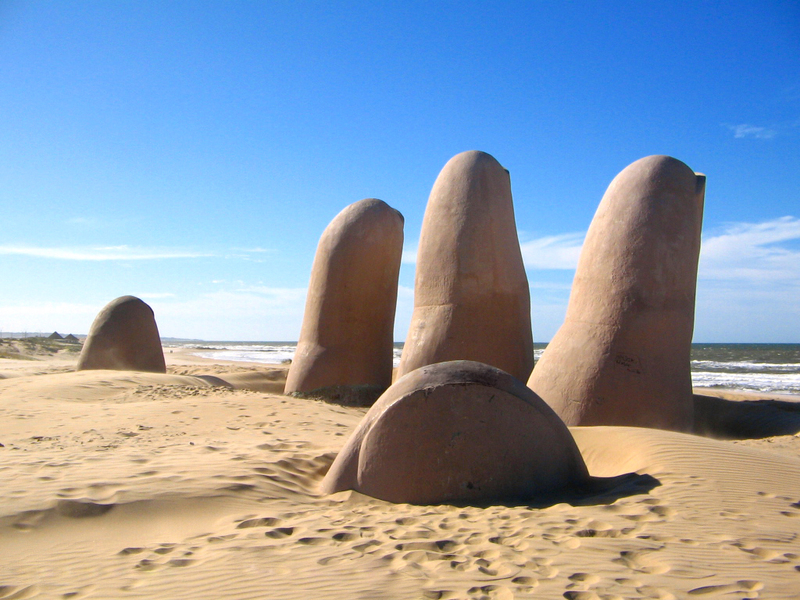 Wisely the Uruguay development has banned development along its beaches. Beaches go uninterrupted from Rio Plata all the way to Brazil. Despite their nation being the new it spot Uruguayans still meet all new comers with a smile. Could they easily go French and show disdain for people visiting their country in droves – sure, but that just wouldn’t match their national character. Whether it’s at the bus station, in the shops, or even just on the streets Uruguayans meet people with a smile and are always gracious, friendly, and fun. Truly possessing that feeling of being thrown back in time Uruguay, especially immortalized by its capital Montevideo, has wonderful feel that resonates back to an era gone by in the 1900’s. Montevideao across its cityscape has wonderful Parisian looking buildings that leave a lasting residue of beauty, charm, and even romance. Traveling along Uruguay’s stretching coastline too will uncover any number of fantastic rural colonial towns. For $3 US you can have breakfast for a party of four. Great economy for the traveler pervades around the city and can loosen the purse strings of even the stingiest people. At the same time as well if you look to travel as a chance to scour over financial opportunities as well be aware that there are also loads of great investment opportunities here. Uruguay has first world infrastructure with third world prices. Connecting with some of the other points here eating and drinking in Uruguay are great experiences. With restaurants and bars dotted over its charming city and townscapes with great prices an excellent night out eating and drinking is all but assured. Combine this with wonderful mouth watering steaks, which is a real Uruguayan delicacy, and the recipe is there for a true gastronomic hot spot.